Tianello visits Sound Styles in Edmonds this January for an exclusive engagement. Appearing for the fist time, surrounded by a cache of new Spring fashions featuring Comfy and Renuar, new Tianello items promise to deliver a truly enchanting clothing performance. Tianello is a USA based company located in Los Angeles, CA that specializes in eco-friendly garments made from natural fibers. Established in 1992, Tianello has made its mark as “feel good” apparel for women throughout the United States and Canada. Sure to be a sell out! Curtain rises Monday thru Friday at 10 a.m., Sundays at noon. Literally out of the box just today are some fabulous fall pieces from Bryn Walker… clothing where simplicity, beauty and comfort are primary. Give them an A+ for sophistication and looks yet they are easy to care for and great for travel. What more could you want? And it’s very nice to say, they are made in the USA. Three pieces are especially exciting in design, color and versatility. Shelly and I had great fun opening the box and re-doing the aisle with our newest finds. Remember the car coat of past? Well, there’s a new modern version in our short wrap coat with its versatlile length, feminine shawl collar and convenient front pockets. Then there’s the longer version in our full length wrap coat with its generous collar, easily cuffed sleeves and a cut-away front that flares out to a longer back length. Add to that our new Branson tunic with dropped shoulders, folded cowl neck and front side pockets… great paired with skinny jeans or leggings and all the coziness of a comfy sweatshirt. No need to wait for the week-end to don this delicious top. These pieces are made in a luxurious combination of bamboo and organic cotton and are machine wash warm and tumble dry medium. The color array is striking from rich golds to warm rusts and earthen greens. icantoo…. And so can you! Our newest shipment of icantoo tops are proud to be made in California. Made of 50% cotton and 50% polyester, they offer softness and sheer coolness against your skin… not to mention their yummy ice cream colors. 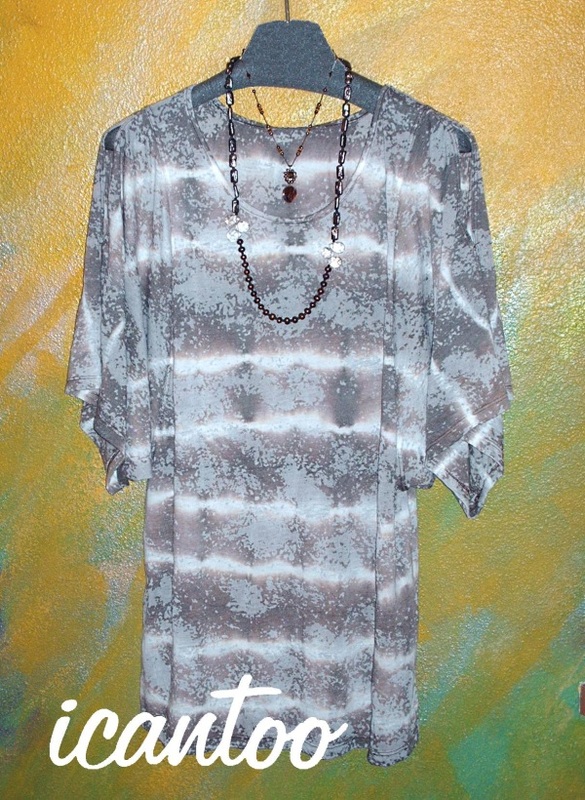 Combine vanilla and caramel latté in a pretty burnout tie die effect, this cold-shoulder, dolman sleeve tee is “my pick of the shipment. This flattering tunic slips on easily, provides one-step style and fits a relaxed, casual lifestyle… perfect to see you through an Edmonds kind of day, or pack and travel with you to far away and warmer shores. Add a necklace, or even two, and you’ve brought more sparkling radiance to the fun party that is you and dressing well! 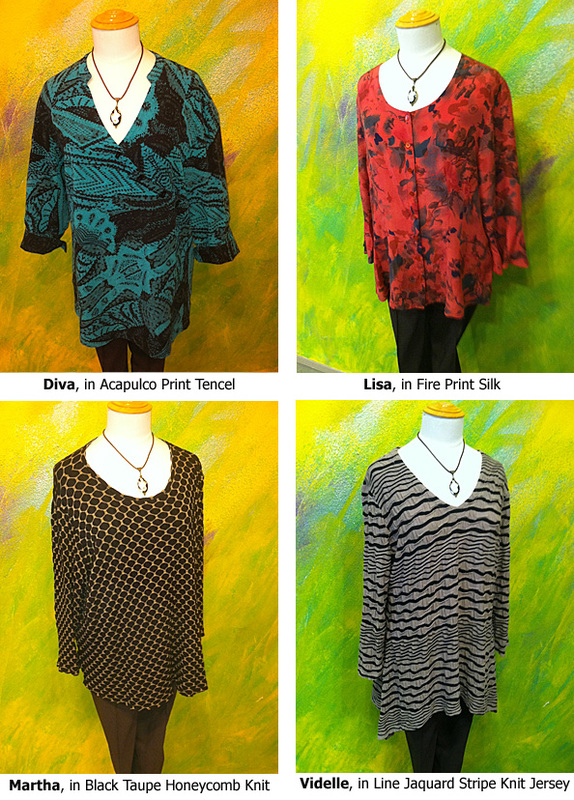 Come see the newest arrivals of icantoo and perhaps you can too!